The new Thresher features an efficient hull that makes for smooth, fast paddling experiences on the water while a rockered keel helps paddlers exit the surf more easily at the end of a day. 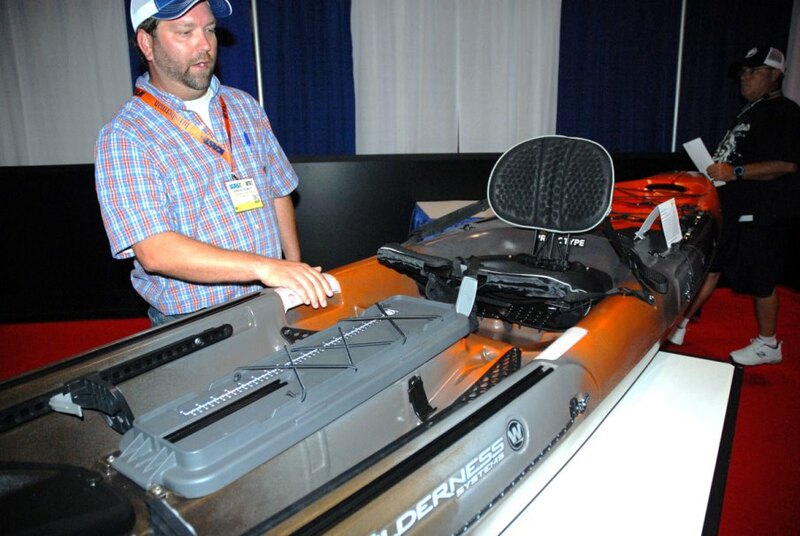 A part of Wilderness Systems’ next generation of sit-on-top kayak fishing platforms, the new Thresher features an efficient hull that makes for smooth, fast paddling experiences on the water while a rockered keel helps paddlers exit the surf more easily at the end of a day. With a sleek deck optimized for storage and accessibility, this new kayak features a water shedding bow storage cover, a large center hatch storage unit with built-in fish measuring capabilities and the ability to store rods and tackle. Add in a FlexPod OS removable console for helping anglers consolidate their fish finding electronics and the Thresher is sure to be an ICAST/IFTD favorite. Also available in a 155 size, the Thresher comes in a variety of colors and rudder configurations aimed to fit the needs of a variety of anglers in fresh or saltwater settings.